Having fun at a review tour stop! “I love a good romance. And, Movie Magic is just that. The characters are charming and entice you into their story. Can’t really ask for higher praise than that, can you? 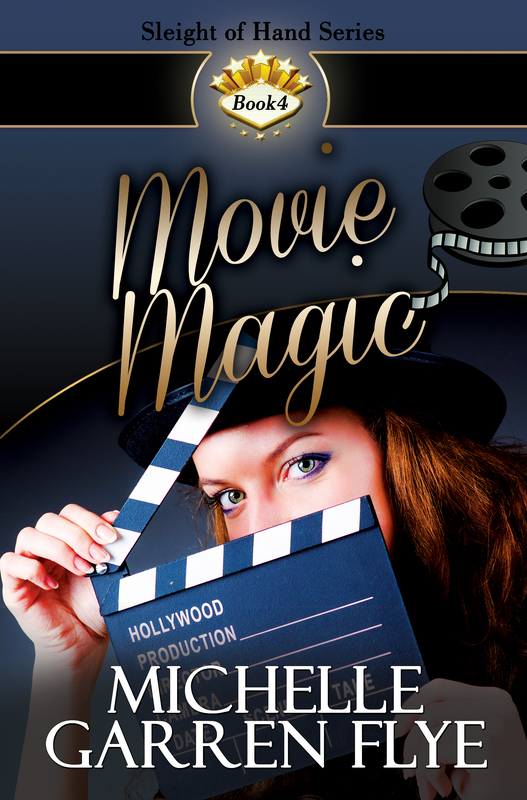 Head over to My Reading Journeys and say hello, read the blurb and an excerpt from Movie Magic and enter for a chance to a win a $50 Amazon gift card! It’s October 31, and that means the launch of my new book, Movie Magic. I so enjoyed writing this one, and I’m so hoping you will enjoy reading it. Today, we celebrate. At the end of the day (about 5 p.m.), I’ll draw names from all my commenters for prizes. Everything from signed copies of Movie Magic to Amazon gift cards. Every comment is eligible, and multiple entries are encouraged. By the way, Ann Marie was the winner of the special edition Sleight of Hand perfume from Waft.com. I’ll be in touch with her to arrange delivery! I leave you with this. It’s me, reading from chapter one of Movie Magic. I’m not big on public performances, but I really believe in this book. Aha! Welcome to party central! It’s the birthday of my new book, Island Magic, and I figured…what better way to celebrate than to have a real live email interview posted on my blog? Nakul Shenoy and I have been twitter buddies since I first started getting seriously interested in magic. He was the first magician to take me seriously, and he’s even read a couple of my books! Now it’s my turn. He has a book about magic coming out, and I thought it’d be a good chance to return the favor. Please help me make him welcome. Also, I’ve decided to give out a $10 Amazon gift card to one random commenter on my blog today, so leave Nakul a question, then beat tracks over to Amazon to buy your copy of Island Magic, if you haven’t already! First of all, let me be honest, I don’t want to know the secrets of my favorite magic tricks. I prefer to believe. Should I read your book? Indeed, Michelle! I agree. Belief in magic is what keeps many of us going; it inspires us to create effects and presentations that represent ‘real magic’. Anyway, my book is not as much about the tricks, as much as it is about learning to present and perform magic. In many ways the real secrets to creating a magical experience. 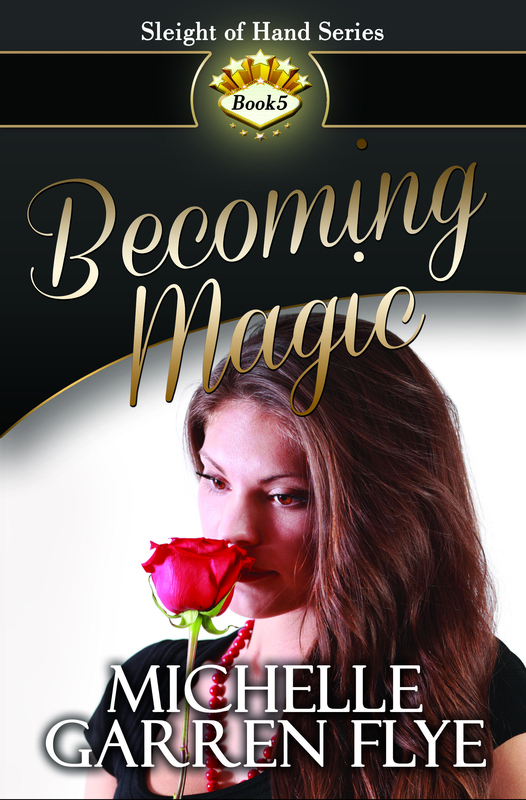 This book will serve as a good guide to anybody interested in putting together an effective performance in magic, while also helping them in various ways to improve their confidence, public speaking, and social skills. You should read my book simply because it is a wonderful thing to be able to amaze and entertain others using magic, and it helps us bring smiles to people’s faces. What’s the biggest misconception about learning to perform magic? Good question! The way I see it – and this is based on the numerous interactions I have had over the years – there are two major misconceptions about learning magic. One, people think magic is performed using hypnosis. That in many ways could be attributed to the mysterious passes and gestures that the magicians perform as part of their act. As romantic as it may sound, hypnotism has really not much to do with the stage magic that we encounter most of the time. The second misconception is that tricks make magic. Much as this is true, the technical aspects of the trick itself – also called method – has a limited role to play in the performance of magic. A magical performance is embellished with the story, presentation, and premise of the effect; it is this that makes a trick into a miracle. Yet, many of us – including professional magicians – cannot get over the search for the perfect method. Somehow, we can’t get over the belief that learning the secrets of tricks is what makes the best magic. What’s your best advice for aspiring magicians? The first, second, and third rule of magic is Practice, Practice, Practice. You really have to internalise the workings and handling of a magic trick, before you can even take it to a rehearsal stage – let alone perform before a live audience. That aside, the focus of the magician has to be on making magic, magical. As weird as that may sound, in many ways we forget what made us get into magic – that feeling of something being real and amazing – and get too caught up in performing magic tricks, because we can. As far as the aspiring magician remembers to give all the attention to the performance, the presentation that creates the feeling of magic in the audience’s minds, they will create magic, and not just perform a puzzle for the audience to solve. How do you go about teaching someone to perform magic? Magic is both an art and a craft. It involves skills that have to be learnt first, then mastered, before they can be crafted together into a charming performance. Much like a musician has to learn and master musical notes and a dancer has to learn and master dance steps, the aspiring magician too has to first concentrate on the basics. Once that step has been crossed comes the performance part, where the focus has to shift on learning and mastering the basics of acting. The words of Jean Eugène Robert-Houdin – the father of modern magic – comes to mind here: the magician is but an actor playing the role of a magician. Why did you decide to write the Smart Course in Magic? I took to magic as a 5-year-old kid, fascinated by Mandrake the Magician. I wanted to be Mandrake. In many ways, I still do. I took to seeing any magic show that came my way, as many times as I could. I took to reading anything and everything remotely connected to magic. Somewhere down the line, I found books that dealt with tricks, and later also some that dealt with the performance of magic. It is just fortuitous that I am where I am today in the world of magic, as I had a lot of things falling into place at the right time – to get the proper guidance, mentorship, and of course friendship. This is linked to a lot of circumstances coming together in the right way – a feat no less magical. The idea for the Smart Course in Magic came though as I wanted to create a workshop in a book. Not one that taught numerous magic tricks – there are too many already in the market – but one that focused on presenting magic in the way it should be. So in this book, the tricks are incidental; they are taught only in the context of learning a larger concept of magical performance. I do believe I have delivered what I intended with this book. How did you choose mind reading as your specialty in magic? This came more recently. I was performing stage magic – the conjuring and illusion variety – for about 10 years. Yet somewhere I found that I was going away from my idea of Mandrake The Magician. He did not seem to have a 10-member troupe or a truck load of equipment. That was when I discovered psychological magic or magic of the mind. Dabbling in that allowed me to create an onstage persona of The Mind Reader. And so most of what I do today is limited to the ‘powers’ that I have attributed to that persona. Have you ever performed other types of magic? Illusion? Sleight of hand? Yes! I have walked the path, so to say. I began with close up and conjuring magic – mostly the sleight of hand variety. Then I moved to the stage magic – as I found that more fitting to my context, and performed shows with illusions and conjuring effects. As I said earlier, the move to mind reading was my need – to push myself to other realms of magical performance; to entertain audiences in the best way available to me. Mind reading is very different from other types of magic, but I imagine they use some of the same psychology. How do you see this? Yes, they are all various genres of magic. And in many ways, the basic rules remain the same. The methods are varied and different, but what makes any type of magic – magic, is the performance of the same. Yet, there is a great difference in the way you are perceived by the audience, basically because of the premise you are performing in and of course the story of the presentation itself. I like it because there is nothing much to hide behind, and it is magical performance at its purest. It is just the audience and you the performer – with minimal focus on props. Do humans as a whole want to be fooled? I do have a theory on that, but in this context I would say that we do wish to be entertained. And in the best possible way. 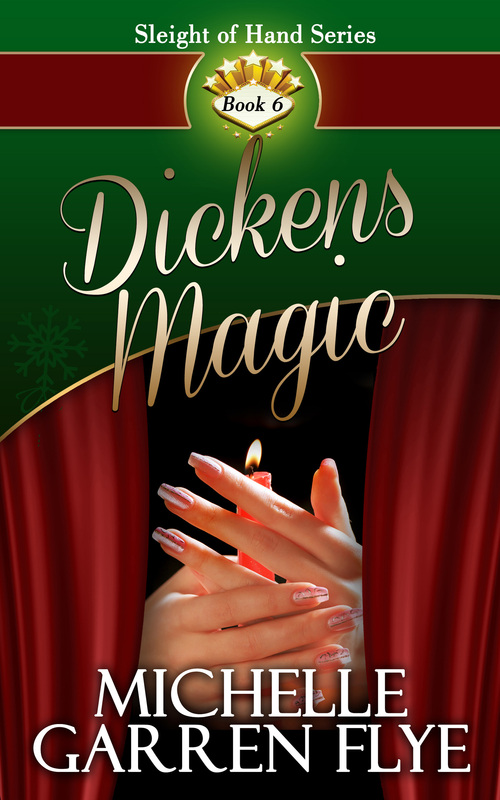 Dariel Fitzkee once wrote, “the audience is there to be entertained – entertained by magic” while reminding that magic was only one of the various other modes of entertainment available. This is a truism I hold dear, and remind myself all the time. If the focus of our performance is to entertain and entertain with magic, then it never matters what the audience is there originally for and with what intent. So again, whether we wish to be fooled or not, I sincerely believe we wish to be entertained. What is the biggest challenge magicians face today? Like everything else in life, the digital age is changing things faster than we realise. Television brought along opportunities to take magic to homes, and now the internet has provided the opportunity to take it to everybody in the connected world. Yet, the real joy of magic is in the performance of it – in front of a live audience. And similarly, it is best enjoyed in first person, live. Somehow, in today’s tech world we are losing the charm of the live theatre performances, and this to me is the biggest challenge for the craft and its practitioners. Okay, you knew I was going to ask. Can you read my mind over the internet? Haha! Yes, I indeed did. I think it is best that I share that thought offline! Ha! Get on out of here, magic man. Thanks for stopping by! 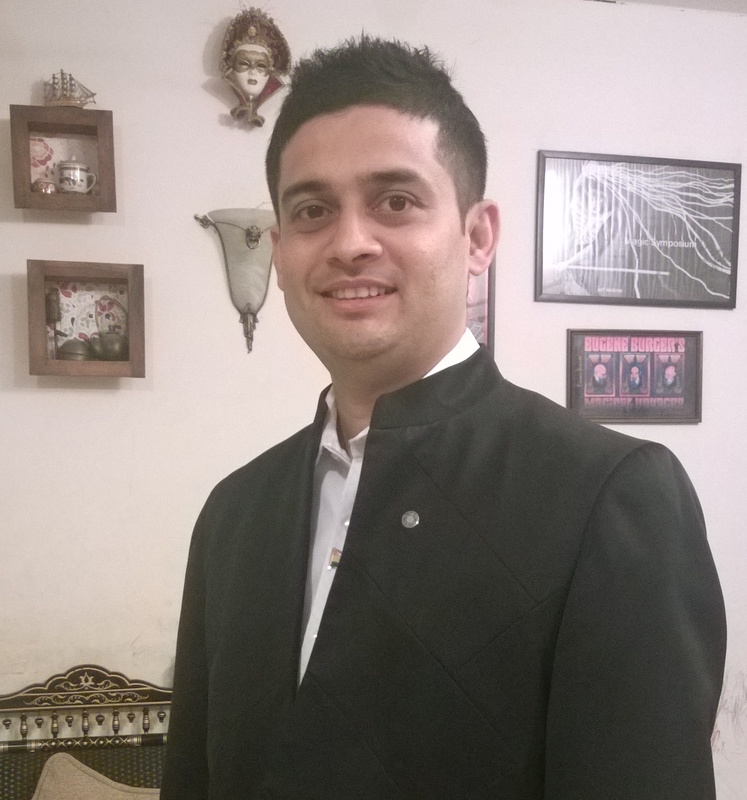 NAKUL SHENOY is The Mind Reader – an expert magician and hypnotist based in Bangalore, India. A leading corporate speaker and entertainer with unique insights on communication and people behaviour, he travels the world addressing elite audiences drawn from top corporates. Nakul took to magic at the age of five via his fascination for the comic book ‘Mandrake The Magician’. He performed his first public show at the age of 15, and since then has continued in his self-professed journey to be “a real-life Mandrake”. Over the last two decades, Nakul has grown to be a sought-after entertainer for Fortune 500 companies and other coveted events, and has performed at venues in Asia, the Middle East, Europe, UK and the USA. A compulsive reader of books “on every topic under the Sun and beyond,” he haunts Twitter as @nakulshenoy. Nakul’s first book on performance titled ‘Smart Course in Magic’ will be published by HarperCollins India in December 2014. I am totally late in announcing this (I was supposed to do it at 6 p.m. last night), but I did shut off entries at that point. Not that there were any more, but I wouldn’t have entered them in the giveaway if there were! And after consulting Random.org, the winner of the $50 Amazon gift card giveaway was…Cheryl Rhodes! I’ve already contacted Cheryl, who was kind enough to write TWO reviews. One for Close Up Magic and one for Tracks in the Sand. She was also kind enough to give them both five stars! Which I didn’t even require, if you remember. 🙂 Although she did point out a typo in Close Up Magic that I totally missed. When I get a chance, I’ll be fixing that one. Thank you to everyone who participated. I love giving stuff away, especially e-gift cards. 🙂 They don’t even require me to go to the post office and stand in line! So I might be looking for more ways to give away gift cards over the next month. Stay tuned! Review a Book, Win a $50 AMAZON Gift Card! Last week I gave away more than a thousand books on Kindle. Free. I was astounded. Blown away, really, by the enthusiasm. Okay, yeah, this is America. Stick the word “FREE” on something and we’ll likely pick it up. Even if we throw it in the garbage can later. But this was different because there are literally hundreds—probably thousands—of Kindle books up for grabs every day. Most written by people like me who are just trying to make it in the big world. And more than a thousand readers selected MY books from that pile of free Kindle books. That means something. To me, anyway. Okay, so, step one for me as an author is complete. My books are out there on Kindles everywhere. Check. The next step for me is to encourage you to READ my books. I know how it is. You download a “To Read” list on your Kindle and you never quite get around to actually READING them. And certainly not to REVIEWING them (step three). So here’s my idea. How about, if you read my books by August 15 at 6 p.m. AND review them on AMAZON, you get entered in a drawing for a $50 AMAZON gift card. For FREE! Certainly makes reviewing sound a lot better, doesn’t it? And I’m talking about a real, honest review. If you don’t like my writing, I invite you to tell me why. If you do like my writing, I’d love to hear from you. I’ve learned a lot from both types of reviews from readers. Of course, I’m taking a risk here. It’s quite possible I could get one star from someone who reads my book just because of this giveaway and posts, “I didn’t like it because it wasn’t the Wall Street Journal.” I hope I don’t get those, but I have enough faith in my ability to write well in my genre that I’m willing to risk it. 1. Download and read one of my books or read one of the ones you got in last week’s freebies. 2. Post an honest review on Amazon about the book. 3. Email me at michellegflye@gmail.com to let me know you posted a review. 4. Winner (selected by random draw) will be announced August 15 6 p.m. Eastern! Good luck! I’ve already got a couple of entries!